Cuba tourism is booming, and all American’s can now legally travel to Cuba. No, news about Trump imposing tighter restrictions on travelers is not fake news, but has been wildly exaggerated. American travelers have previously been restricted from visiting Cuba due to a US trade embargo, and while “tourist travel” is still prohibited, it is legal and safe for you to jet down to Cuba on a “general license”. This is simply a claim that you qualify for one of the 12 categories of authorized travel. Unlike having to obtain a physical piece of paper granting permission for travel, a general license means that the individual decides that their visit fits one of the 12 rules. Essentially, the government is now giving citizens the benefit of the doubt. 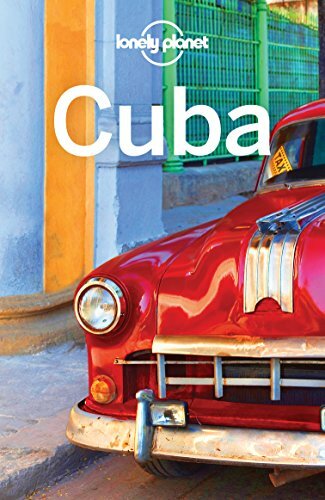 With US booking websites and online travel agencies now offering flights to Cuba from the US, all you’re required to do when booking is to check a box indicating what category they are eligible to fly under. All individual trips are required to fall under one of the above 12 categories of legal travel to Cuba. This requirement is supposed to be legally binding and you’ll need to document your activities to prove you traveled for appropriate reasons. Granted, we haven’t heard of anyone being questioned about their trip to Cuba upon return to the States, though it’s always wise to be thorough. You will however have to state which category you fall under when you go to book your flight or cruise ship. You’ll need a visa to enter Cuba (Cuban Tourist Card), which is a Cuban requirement, not one imposed by the US. You can apply for this through the Cuban Embassy in D.C. or have your airline arrange it for you. If you’re planning on organizing it at the airport, keep in mind that not all airlines can help, and that each will have different fees. Costs can range from $50 to $110 depending on the airline you’re flying with. Southwest, Jetblue and Delta are currently the cheapest ($50). There are many other intermediaries that can obtain a visa for you too; tour agencies and airlines are typically the most efficient, though note that neither the US embassy in Havana nor the US Department of State in Washington D.C. process applications. Trump has banned American support of businesses under the umbrella of the Cuban military. 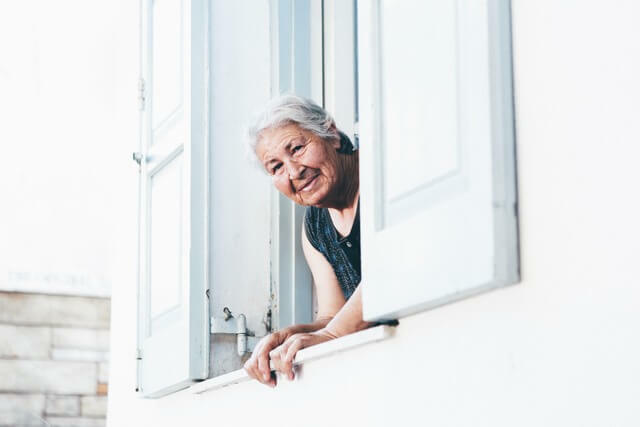 This means that you’ll have to forget about expensive hotels and beach resorts, and stay in locally owned and operated casas, or bed and breakfasts. This legislation, according to Trump administration, is not meant to discourage you to travel, but to direct American money to Cuban entrepreneurs and private business owners. The purpose is to encourage visitors to stay at private homes, eat at private restaurants (‘’paladares’’ in Spanish) and buy souvenirs and art from local private vendors. This results in a more authentic and immersive experience for travelers anyway, and the quality of service and food is better from privately owned businesses. How do you know which is which? You can either ask the business directly if they’re government run, or book with an agency like cubaneden.com where they make sure you comply with government requirements. Tourism for it’s own sake is still prohibited, so you won’t be able to spend your time lazing on the beach (you’re required to engage in a full time itinerary of activities related to the above categories of travel). Tour agencies that arrange your hotels, transportation and meals are an attractive way to book as they provide cultural exchange activities and usually have longstanding experience with sending travelers to Cuba. Though don’t be scared to book your trip DIY fashion too. Although ‘’people-to-people’’ trips were suspended, Americans can visit Cuba without a tour operator under the ‘’support of the Cuban people’’ category. Key to this is the interaction with locals at different levels. 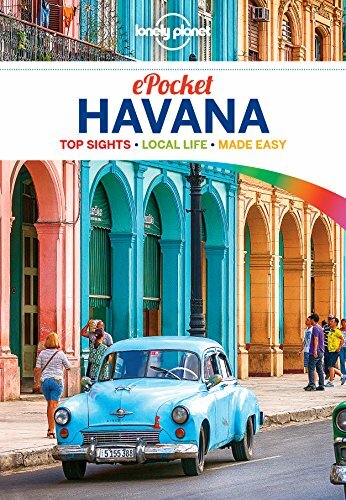 We recommend touring Havana in old American cars, savvy walking tours and salsa and cooking lessons. In addition, choose home stays (‘’casas particulares’’) that offer bed and breakfast instead of government owned hotels. For more information on what constitutes a visit under each of the above categories, visit the Frequently Asked Questions Related to Cuba from the US Treasury. In the past, American’s have evaded travel bans by traveling through third party countries like the Bahamas, Canada and Mexico. But now that airlines are operating direct flights from the States, this is no longer necessary. Airlines that are operating routes include American, Frontier, JetBlue, Southwest, United, Spirit, Alaska and Delta. Direct flights to Havana operate from Miami, Fort Lauderdale, Charlotte, Newark, New York JFK, Atlanta, Los Angeles, Orlando, Tampa and many others. 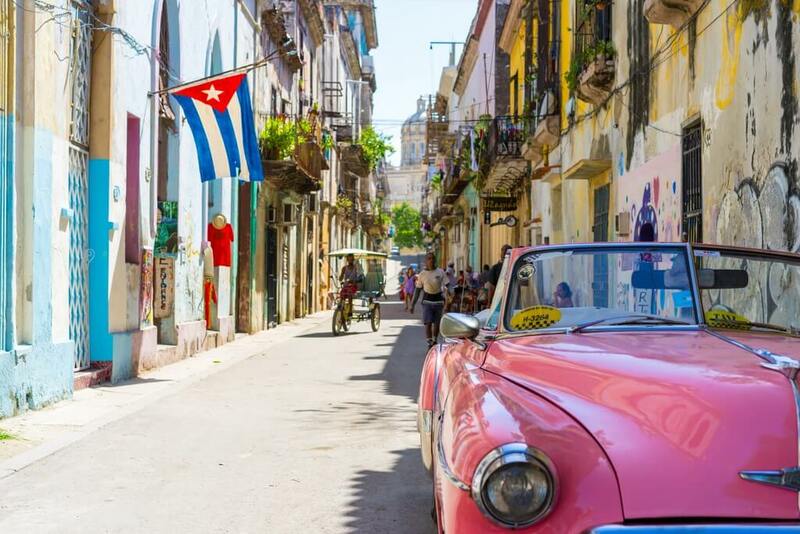 With the ease in travel restrictions services are increasing for traveling to Cuba by boat, and many major cruise companies are slowly beginning to offer Cuban itineraries for US travelers. Cuba makes having non-U.S. health insurance a mandatory requirement for all visitors entering the country. Those who cannot provide immigration with proof of coverage will be forced to buy insurance from the local Cuban insurance provider who have an office set up in the immigration area of the airport. For Americans, GeoBlue now provides International Travel Medical coverage for those traveling to and from Cuba. To apply for coverage with GeoBlue or obtain a free quote, contact Timothy Jennings at IndividualHealth.com. Images that have been used in previous versions of this post: Chevrolet a lo cubano by Jaume Escofet (CC BY-NC-SA 2.0) via Flickr. Hungry water for paradise by Simon Matzinger (CC BY 2.0) via Flickr. Children play on a backstreet in La Habana Vieja by Allan Hopkins (CC BY-NC-ND 2.0) via Flickr. This is a great resource! Thank you! I’ve been looking into travel to Cuba for Americans, but being someone who likes to do things on her own without tours, it looks like I’m stuck waiting a while until things get a bit more lax. I might consider one of the National Geographic tours though. Have you heard anything about them? Glad you found it useful :) We are also travelers who enjoy doing our own thing over taking part in organized tours, though there are some fantastic tours out there, especially for Cuba, and while we’re extremely picky, IE, Nat Geo and Insight Cuba are all companies we would consider traveling with. Really fantastic information.It’s going to be interesting over the next few years to see how this more positive relationship between the US and Cuba impacts the region. Thanks for sharing and I look forward to having the opportunity to explore Cuba myself. 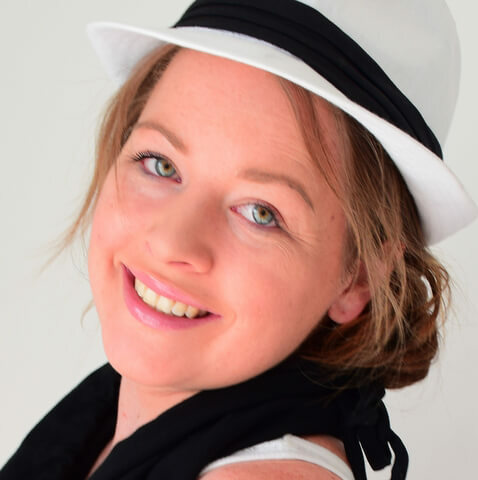 Glad you found it useful Jennifer :) Absolutely, I’m looking forward to the relationship continuing to grow, and hopefully it wont be long until American’s can travel for tourism. It will be really interesting to see how this evolves over time and whether opportunities open up for genuine ‘tourist’ travel and exploration for those not interested in the organised tour approach. Absolutely – I’m hoping that this is just the first of a number of positive steps towards completely removing the barriers to travel from the States – the trade embargo has been in place for well over 50 years which is way too long in my humble opinion! Cuba is HIGH HIGH on our bucket list and SOOO close to home for us! We hope to get here soon! I hope you manage a visit to Cuba soon! It’s SUCH an amazing country!! Cannot wait until they open it up for tourism, it’s going to be booming! You and me both!! Just remember that healthcare! Had no clue about the health insurance! We were in Cuba last July and it’s amazing how much has changed already. We went on a people to people trip through our church. 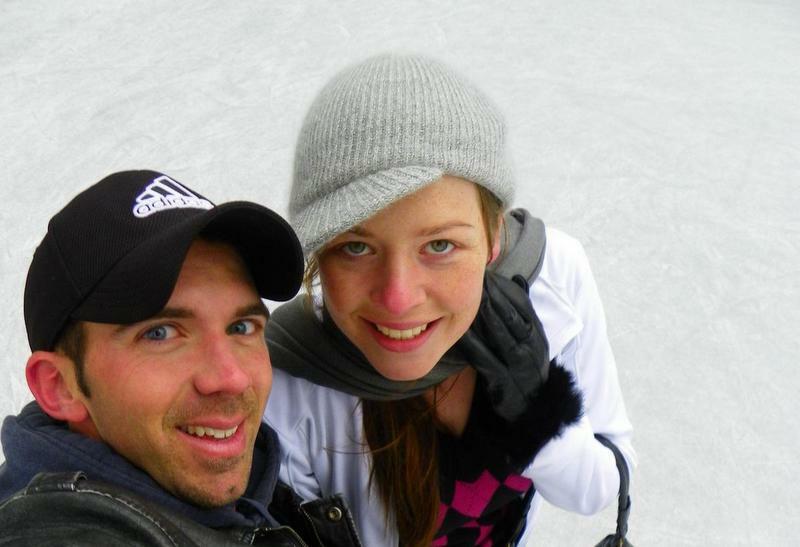 We had everything arranged for us so we were lucky. This is terrific information for anyone looking to plan a trip to Cuba. I would highly recommend a visit the Cuban people are wonderful and of course the food is terrific too! So glad you enjoyed the post Sue, and I’m glad you had the opportunity to visit Cuba – I really hope that with the new boom of tourism the country doesn’t become too touristy so to speak, and it doesn’t impact upon the authentic experiences which make the country so unique and wonderful! I am sending my parents to Cuba this spring – I’m sure they’ll love it. As a Canadian, we’ve been coming for years, and the country definitely has a unique colonial, old-world feel, with a lot of the Soviet Union thrown in. So glad to hear – I’m sure they’ll love it too! Do remind them about the mandatory health insurance, as this one applies to everyone and not just Americans :) Safe trip! This is a very informative post, Megan! I’m not an American but i have American friends who would find this post absolutely helpful. I’ll share it to them! On the other hand, I hope to visit Cuba myself sometime in the future! I’m really surprised to read the bit about health insurance. Good to know before you go! I really want to go before it gets too popular, it seems like a really interesting place to visit. Absolutely – it’s not something I knew about either at first, though since doing a lot of research into it I’ve found that a number of other countries are beginning to jump on the same bandwagon. I wanna go! I wanna go! I wanna go! Just because I can now. Thanks for this information and perhaps we can get it on our travel plan soon. 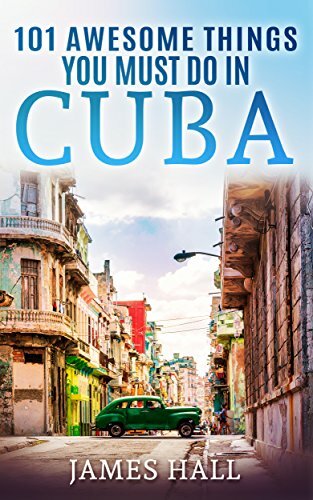 Glad you found the article helpful – I hope you do manage to work Cuba into your travel plans, if not for the fact that it’s an amazing and fascinating destination, just because you now can!! I’m so excited about travel to Cuba becoming easier. Word on the street is that there will be a ferry from South Florida by the end of the year. Wow that would be amazing! I hadn’t heard about that development, but am all for it! Too bad that concept wasn’t in place while I was living in Florida!! Would have been all over it!! Recently Ive been looking info traveling in Cuba but have come across some of the odds and ends you brought up. I found your breakdown for having a decent experience really useful. I especially appreciate your addition of companies giving legal tours. Though I am not American (I’m the friendly neighbour to the North) there’s been a lot of debate over what the legalities of this new political relationship would mean. This is a great tool and resource, and I learned a lot! It’s interesting to read about the categories offered. Such invaluable information, Meg! Thanks for putting it together. Is blogging considered part of journalism? Can you organize a tour around that? That would be a great service for us bloggers who want to see Cuba! Glad you enjoyed it Carol – I would say blogging is definitely considered part of Journalism! That would be my pitch anyway if I was American and had to chose a category :D! This is such good news for my felloe ‘merican travelers! Thank’s for sharing such detail info for this and I really hope this will be good for both countries. I’m realizing everyday that coming from a South American country is very good thing sometimes, and very cool we, Chileans, are not banned from traveling almost anywhere! So glad you enjoyed the post and found it informative Gloria :) And glad to hear that there are hardly any travel restrictions for Chileans! Definitely something to be proud of! Now is the best time to travel to Cuba. You will get to see it before it changes, and trust me it will. So book that flight quickly. Great Post on visiting Cuba. Absolutely – highly recommend everyone travel before it comes out of it’s timewarp! Change is inevitable, so travel now is smart for those who want to experience the country before tourism truly takes hold. 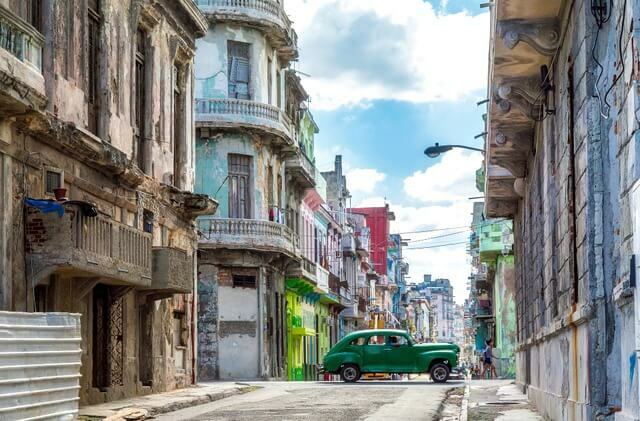 Very useful article for Americans travelling to Cuba..dones’t apply to myself as am British, but have always wanted to visit, looks so colourful and full of character! Hope to visit someday soon! Hi Meg, thank you very much for putting together such a valuable resource. We’ve got very exited about the new US policy since we wanted to visit Cuba for a long time. Then, I started doing in-depth research and run into some issues you mentioned. However, the mandatory health insurance was a news to me (our current international medical insurance excludes Cuba). Let me know if you have any other Q’s – happy & safe travels! I can’t wait to go to Cuba!!! I really need to take a Fidel Castro selfie before it’s too late!!!! Do it! Will be watching for your updates and photos! Thanks for including our Havana post Meg. We’re Canadian so we’ve been going to Cuba for years and have nothing but good things to say about the country and people. I’m happy for them that these changes are finally coming – but it will transform Cuba for the good and bad. As someone above has said, go now. You’ve put together a great resource page on Cuba Meg. I read somewhere else (I think BBC) that they expect regular charter flights for tourism to start up within a year. So it won’t be long. What many don’t know is that there were already direct flights back and forth between Cuba and the US. On our last trip in 2011 we were in Cienfuegos and they had several flights a day into Miami. But again, mostly related to religious/humanitarian activities. You’re welcome Frank – have loved reading your Cuba posts and enjoyed your photos – and I’m now so glad that US citizens can enjoy the same! Glad you enjoyed the resource – my guess is that we’re only going to see direct flights to Cuba increase heavily in the very near future; my hunch is that this is something which is going to see an absolute boom! Thanks for breaking down the details of our recent thawing in relations – with so much bureaucracy involved, the fine points get hazy. Cuba has such a colorful, unique past, and hopefully new visitors will be able to get a peek at some of it. Ah, once I was carrying Cuban cigars when I was making transit in the U.S. – they wanted to throw it away!!! It took me so much courage to save that precious gift! So I understand how difficult it may be to Americans to travel to Cuba, and vice versa.. The relationships between the two countries aren’t the greatest, I guess. Thanks for the information Moira! Semi frustrated that we just moved internationally to Australia from Florida lol always the way – if only the ferries and the new regulations had come in a year earlier could have had a direct route to Cuba! Would have definitely made the most of that! Nice article as for me and this gives me some options to look at. Thankyou :) Glad we could help with an overview of the different options for Cuba – it really is a fascinating and very unique country – highly recommend visiting sooner rather than later before the tourism boom really hits. Hi Dewayne, thanks for reaching out and sharing your videos … great to have your tips from a more recent trip :) Sounds like the logistics are changing pretty quickly, so might look at updating the post with some of your tips. Your photos throughout the video are fabulous … looks like you had a pretty great trip! Hope that helps! Have a wonderful time in Cuba!! Great information, especially about mandatory travel insurance for Cuba. I’m tentatively planning to go in August. I have travel medical insurance but my travel partner does not. We’ll take care of that! Love this article. I recently watched a Wonder List feature on Cuba and really want to go. I wonder how long they will stay “Cuban” in the face of growing US tourism. I know hotel chains are already starting to build. It sounds like an amazing opportunity to visit a far away land that is so very close. We recently watched that episode too! Love the Wonder List! I do hope that the country manages to retain it’s authenticity and culture in the face of growing tourism and US influence. I would probably try to visit sooner rather than later though as there are already monumental changes under way. Thanks Meg! I really want to go a travel to Cuba. I love your content!